The zinc boxes containing the remains of Giovanni de Medici and his wife Maria Salviati. Credit: Soprintendenza Speciale per il Patrimonio Storico, Artistico ed Etnoantropologico e per il Polo Museale della città di Firenze. Italian researchers have exhumed the tomb of Giovanni de' Medici, one of the most celebrated condottieri (mercenary soldiers) of the Renaissance, in a bid to understand the life and death of the charismatic 16th century army commander. Also known as "Giovanni dalle Bande Nere" for the black bands of mourning he wore after the death of Pope Leo X, this member of one of the lesser branches of the wealthy Florentine Medici family is buried in the Medici Chapels in Flo rence with his wife, Maria Salviati. The couple married in 1516, when she was 17 and he was 18. The marriage produced only one child: Cosimo I, who reigned as the first Grand Duke of Tuscany, creating the Uffizi and the magnificent Boboli Gardens as well as finishing the Pitti Palace. 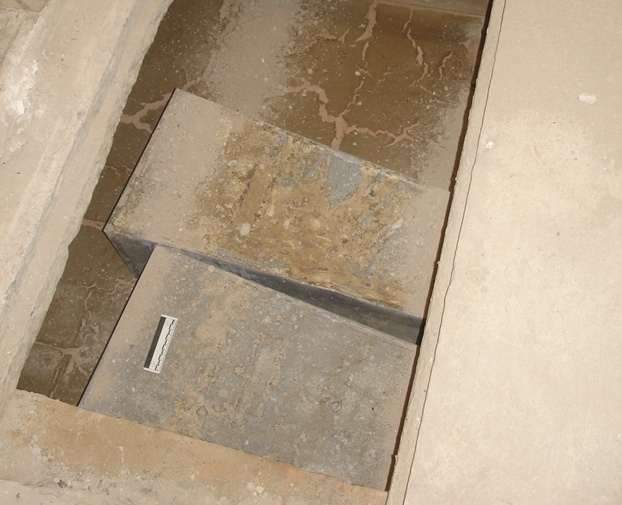 On Monday, "a large rock that covered the burial chamber of the family was raised to reveal two zinc boxes with the bones of the married couple,” Florence's superintendency said. Led by Gino Fornaciari, professor of forensic anthropology and director of the pathology Museum at the University of Pisa, the research consists of a "thorough analysis" which includes medical, paleopathological and anthropological investigations of the remains. "We aim to better understand the cause of death and the kind of surgery carried on the Medici warrior," the superintendency said. The statue of Giovanni dalle Bande Nere at the Uffizi Gallery in Florence. Credit: Sailko/Wikimedia Commons. 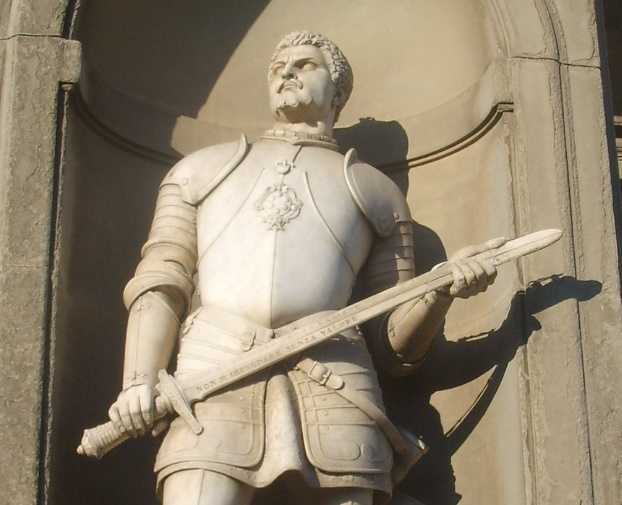 Although he had acquired a reputation for invincibility, Giovanni of the Black Bands (1498-1526) died at only 28 after being hit by a cannon ball in a battle in Lombardy on Nov. 25, 1526. He was fighting the Imperialist troops marching to the sack of Rome. As the ball crashed the right leg above the knee, the condottiero was taken to the palace of marquis Luigi Alessandro Gonzaga in Mantua. Gangrene soon set in, and Gonzaga's surgeon Maestro Abramo decided to intervene by partly amputating the leg. According to a report by the poet Pietro Aretino, Giovanni's close friend and eyewitness to the event, 10 men were summoned to hold down the warrior during the surgery. "'Not even 20,' Giovanni said smiling, 'could hold me,' and he took a candle in his hand, so that he could make light onto himself," Aretino wrote. Despite his stoic behaviour during the agonizing procedure, Giovanni died of septicemia five days later, on Nov. 30, 1526. Photos from a 1945 exhumation showed that the amputation was not carried above the wound but slighly above the ankle. If this was the case, "Maestro Abramo's surgery equaled a death sentence," the superintendency said.